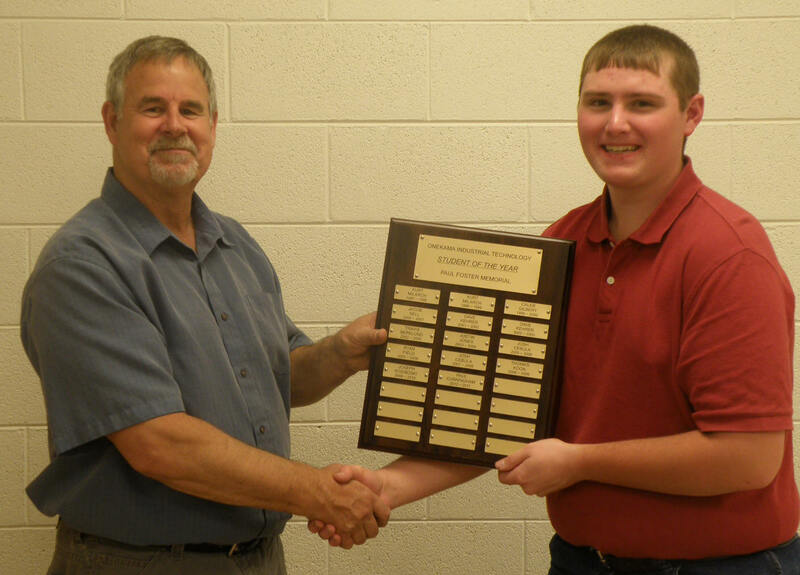 The 2011 Paul Foster Memorial Student of the Year in Industrial Technology at Onekama High School has been awarded to senior Paul Cunningham. Onekama Consolidated Schools teacher Paul Foster was tragically killed in an auto accident a year ago, after serving as the OHS wood shop instructor for the past three years. Rex Toelle took over the wood shop duties for the 2010-2011 school year. The award is given each year to the student who best demonstrates citizenship, work ethic, and craftsmanship in the field of wood working. Paul Foster instilled these characteristics in his students and it is fitting that this annual award is dedicated to honoring Foster�s love and passion for woods and for his students.